Aerovane Jig by Firenock Review with Tutorial Video and more! Whether you are a competitive archer, or just a bowhunter, if you want to be as accurate as you possibly can, you probably fletch your own arrows. There are quite a few fletching jigs on the market, so which is the one to get? Things to be considered are: How precise is the jig? 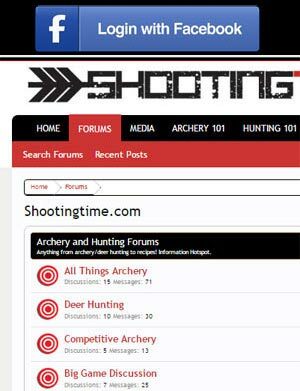 What variety of fletchings can I install? What is the cost? How easy is it to use? In this review will answer these questions and more as we take a look at the Aerovane Jig by Firenock. With it’s cheapest model’s price coming in at around $375, this jig isn’t easy on the pocketbook, but you will understand why once you get it in your hands. The materials used in making the Aerovane Jig are second to none. It’s a solid and precise unit, weighing in at 3.5 lbs. Dorge Huang, the creator of the jig, is notorious for his precision and refusal to use inferior components in his quest for a perfect product. This Aerovane Jig was designed for the Aerovane fletching, which primarily is installed as a straight fletching, but it can fletch an arrow with most of the fletchings available on the market today. Let’s take a look at some of the different components that make up the Aerovane Jig. When fletching your arrows, you have to remove the nock and use the proper arrow chuck that will fit the inside diameter of your arrow. These precision chucks are made of 303 stainless steel, feature 3 o-rings and are reverse thread to avoid slipping when rotating the arrow counterclockwise during the fletching procedure. Once the proper chuck is installed into the jig, simply slide the arrow shaft onto the chuck until the arrow stops. The o-rings on the chucks ensure a nice snug fit that won’t slip during the fletching process. The Enthusiast Set model comes with one fixed chuck while the Ultimate Set includes 9 fixed chucks of your choice. If you spring for the Ultimate Set Plus model, you will receive 9 fixed chucks plus the adjustable chuck. 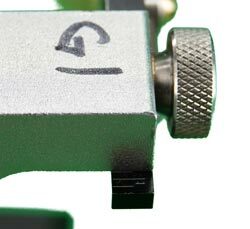 The Arrow Hook is the adjustable set of rollers that supports the arrow during the fletching process. Made of aluminum, they are precision machined and are fitted with ball bearings for an ultra smooth operation. Three fixed hook sizes are offered as well as an adjustable version that allows for arrow leveling. All arrow hooks are etched with offset marks. The marks indicate the amount of degrees off from the center of the arrow so if you want to do a 1° offset, you would set the hook at the 0.5 hash mark. 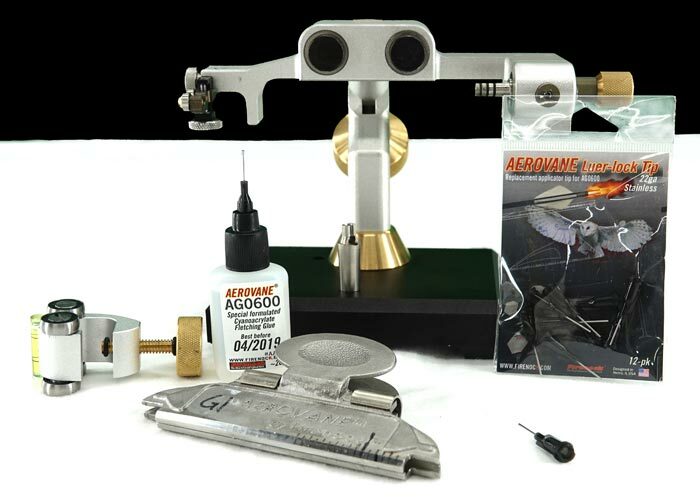 How accurate is the Aerovane Jig at delivering the exact angle you dial it in for? Very accurate. Right on the money. This powerful 303 stainless steel clamp is the real deal. Machined to a straightness of 0.001″, this clamp leaves absolutely no room for error. The Aerovane clamp is installed with zirconia ceramic ball bearings for ultimate durability. 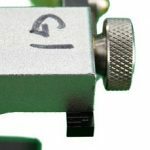 This clamp is shorter than some other clamps on the market measuring in at around 3.7″ but will accomodate most of the vanes on the market today. Working in tandem with arrow hook, this straight clamp can install vanes up to a 2° right offset but can not do helical fletchings or anything beyond a 2° offset. If you desire a helical or greater offset than 2°, you will have to purchase a third party clamp. If you are looking for one of the most precise jigs on the market and don’t mind paying for quality, then this jig is for you. It possesses the strongest clamp magnets, strongest clamps, and the most accurate fletching dial that we have ever used. Quality engineering and quality materials allow this jig to lay a perfect fletch. 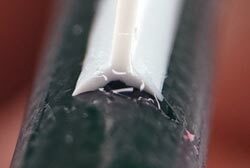 If you follow the steps in our video and use Firenock’s specially formulated instant fletching glue, this jig will leave you with a fletching that will have to be cut off. The bond that this jig, along with the Firenock Aerovane Glue, delivers is the best that we have ever experienced. And 50 – 60 dozen arrows out of one bottle of glue? Truly remarkable! Since this jig was primarily designed to fletch the Aerovane fletchings, it is limited in some respects. 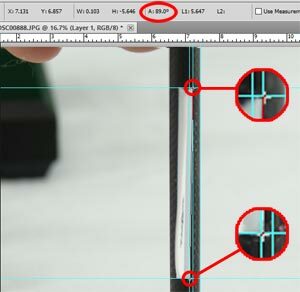 It can only do a maximum of 2° right offset and it’s clamp can not accommodate a fletching longer than 3.7″. 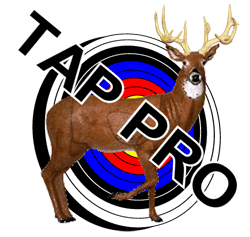 In addition, we wouldn’t recommend fletching any arrows over 25/64″ in diameter due to the main body not being high enough for the clamp to contact consistently. Overall, this jig is very impressive. If you shoot the most common shafts and prefer a 1° right offset like me, then the Aerovane Jig will make you a very happy arrow builder. For more information on this outstanding fletching jig, visit https://www.firenock.com. High quality, precise, and consistent dozen after dozen. This jig is tough to beat!